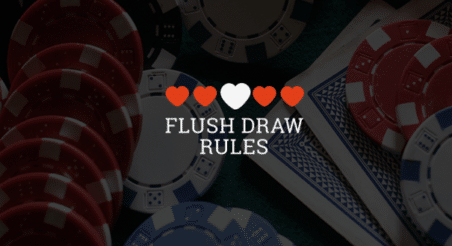 Home » Guides & Reviews » CoinPoker: Do the Benefits Outweigh the Risks? 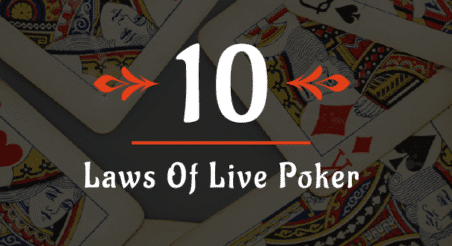 The increased popularity of cryptocurrency has led to its expanded use in many spaces, and online poker is one of them. Among the myriad of cryptocurrency-based online poker sites is CoinPoker. Like other sites that rely on sponsorship by well-known poker pros, CoinPoker is heavily backed by Antanas Guoga—better known as Tony G.
Some cryptocurrencies have demonstrated value in the poker space—Bitcoin, for instance, is a convenient deposit and withdrawal option on a number of sites. But the proliferation of new sites each using their own new and native cryptocurrency are unproven and potentially dangerous options that, frankly, create more problems than they aim to solve. CoinPoker is a cryptocurrency-based online poker site launched in November 2017 that utilizes its own native CHP tokens–think of them as chips that only work on CoinPoker. These tokens operate according to Ethereum-based, smart contract cryptocurrency protocols. CoinPoker offers a variety of games with extremely competitive rakes and large-value bonuses and promotions to increase traffic and, hopefully, enable “potential appreciation” of the CHP token. By using blockchain technology with its CHP, players can purchase and play with the currency no matter where they live. Additionally, CoinPoker asserts that processing speeds are fast, and players can deposit into or withdraw from their CoinPoker account almost instantaneously. CoinPoker has also instituted a fair-play security and fraud system that monitors user actions and identifies and eliminates unethical or automated play. CoinPoker—like other cryptocurrency-based online sites—believes it has the potential to revolutionize online poker by addressing longstanding problems. But does it? What Problems Does CoinPoker Aim (and Claim) to Solve? CoinPoker is built upon five premises that it feels need additional attention to ensure the continued success of online poker and the protection of players. The first is accessibility in which players have access to Ethereum-based CHP cryptocurrency from anywhere in the world. With its smart contract technology, players’ deposits and withdrawals are safe and easily accessible. The second premise is transparency. CoinPoker touts that its advanced random number generation (RNG) technology is able to “completely randomize shuffling to increase game integrity” and that this technology’s use on the blockchain improves transparency for all parties involved. Third, CoinPoker seeks to improve players’ privacy by guaranteeing token holders’ safety and anonymity via its simplified registration process and removal of redundant user data collection. The fourth premise is distribution. By earmarking 15 percent of the entire ICO funding to return to players via bonuses and promotions—and by increasing tournament series’ prize pools—players have the opportunity to be richly rewarded. In CHPs, of course. Finally, CoinPoker touts its Fairplay security and anti-fraud system to monitor user input and actions to identify and eliminate any unfair playing or cheating by players and by programs, if applicable. What Problems Does CoinPoker Actually Solve? In a word: none. At least not without creating new and much bigger problems for players to worry about. Online poker on blockchain—quite simply—does not make any sense whatsoever. First of all, all emerging online cryptocurrency poker sites—including CoinPoker—stress that cards will be truly random, as if they weren’t already. This is simply a nonsensical claim to address a nonexistent problem. Nevertheless, CoinPoker claims that its introduction of a new RNG (random number generator) technology “based on a blockchain methodology” will increase randomness and protect the algorithm from potential exploitation. Yeah, right. Another problem is that when players keep their money in the site’s native currency CHPs, their bankroll’s value is tied to the success of the site. This goes to the heart of the accessibility claim. Of course, players will have access to the site’s CHP cryptocurrency. Whether the currency will maintain value is another story. Therefore, the ability to withdraw funds more quickly is a benefit of CoinPoker, but its not a unique benefit. Any poker site that offers withdrawals of larger market cap cryptocurrencies (like Bitcoin or Litecoin) would enjoy the same benefit without the risk of going to 0. As for distribution, if the CHPs earmarked for bonuses and promotions are highly volatile or ultimately worthless tokens, then this can hardly be called a benefit. Additionally, the introduction of a mass number of CHPs into the market can, if sold in bulk, cause a serious price drop that devalues other players’ funds. Finally, ensuring players’ safety is only relevant if the cryptocurrency has any true value. No amount of security, transparency, or privacy matters if the site’s currency loses value. 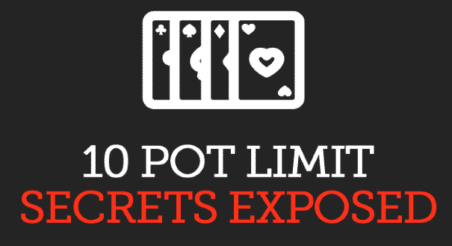 Further, purporting to solve a problem that really doesn’t exist is not only misleading but ultimately unethical and there is little wonder why some view CoinPoker—and other newer online cryptocurrency poker sites—as effective scams of which to be wary. In an interesting CoinPoker TwoPlusTwo forum, a CoinPoker representative attempts to answer questions; however, there appears to be some innate deception and inadequately answered inquiries which should immediately raise red flags. Thus, the alleged problems that CoinPoker and other cryptocurrency-based online poker sites purport to remedy simply create new problems. Like many other cryptocurrency-based online poker sites that have flourished in recent years, CoinPoker offered an ICO (initial coin offering) that is similar to an IPO (initial public offering) of new company stock at a heavily reduced rate. An ICO is an unregulated method to raise funds for new cryptocurrency ventures. What is the CoinPoker price? At the time of the writing of this article, the CHP price was $.06 with a market capitalization (cap) of approximately $8 million. Market cap is calculated by multiplying the price by the circulating supply. This is considerably less than the CoinPoker ICO price that was around $.12, with a $20 million market cap. Looking at the current CHP chart, it isn’t difficult to see that the CHP’s value has depreciated by around 50% since the ICO. Editor’s note: Keep in mind that although market cap is generally not an accurate assessment of a currency’s true value, it allows us to make some relatively accurate estimations. High-stakes poker pros and cryptocurrency expert Jason Mo is at no loss for words when it comes to assessing CoinPoker. He recently joined Doug Polk for a podcast in which they discussed this topic, and you can watch that segment of the podcast below. Both of these guys have also taken to Twitter to sound the alarms about some blockchain poker sites. im getting some ad hominem hate for insulting @CoinPoker_OFF token model but no real substantial discussion against what I said on @Joeingram1 podcast. Token massively below ICO price even and market liqudity is still nothing. Numbers don't lie, you all lost money. Editor’s note: It should be mentioned that Jason Mo is a sponsored pro of poker site highstakes.com. It is interesting that CoinPoker specifically states that its site “health” is subject to change based on a number of factors and that “sudden changes” can impact the health of the network and, subsequently, the value and utility of the coin itself (exactly what Jason is alluding to in the tweets above). At the present time, CHP is only usable on the CoinPoker platform. This should elicit a serious red flag for all online players. Making the value of the currency wholly dependent on the health and success of the particular site places investors at risk of losing most if not all of their money. While not specifically commenting on any particular cryptocurrency-based online poker site, Doug Polk is more vocal about the overall dangers of online poker on blockchain. I get asked this all the time "Doug, what do you think about X poker project that uses block chain technology?" This is not to say that all cryptocurrency-based online poker sites are bad and dangerous. In fact, using already established cryptocurrencies that are not tied to the success of a particular site provide the same transparency and ease as these new, platform-specific currencies without the inordinate risk of failure. Relying too heavily on newer sites with their own cryptocurrency that is valued solely on the health of the site is neither safe nor prudent. What are your thoughts on the cryptocurrency-based online poker phenomenon? Do you frequent any of the newer sites? Please chime in below.